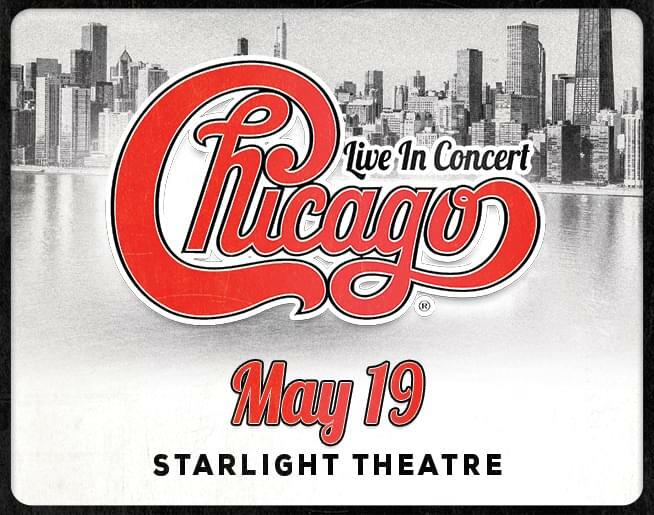 Join us for an evening with Chicago featuring 2 incredible LIVE sets from the legendary Chicago SUNDAY May 19, 2019 at Starlight Theatre! With over 40 Million Albums sold the Signature sound of the Chicago horns to the iconic vocalists, and ALL of their Classic Hit songs this show is going to be a Celebration! KEEP LISTENING TO WIN TICKETS!